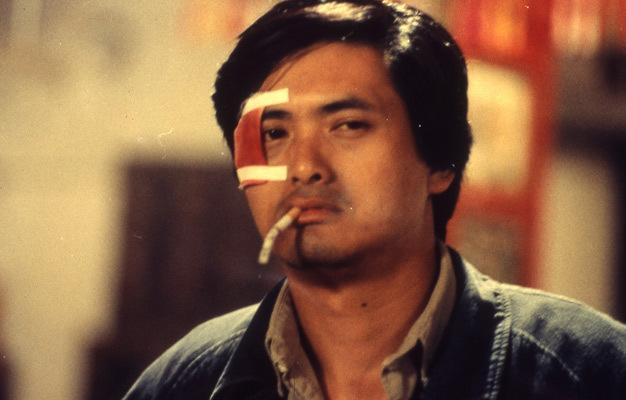 The 9th Five Flavours programme involves six masterpieces of gangster cinema directed by the one and only John Woo. While these cornerstones of action cinema are still relatively unknown in Poland, we are more than happy to amend that by showing all of them on the big screen and present a recently restored version of "A Better Tomorrow" as the opening film of the 9th edition. Marcin Krasnowolski, Five Flavours: Your works from 1986 to 1992 will be shown at the 9th Five Flavours Film Festival. We will start with "A Better Tomorrow" to end with "Hard Boiled". Regarding this retrospective we have a couple of questions to you. Back in 1986, during the shooting of "A Better Tomorrow" did you and Tsui Hark know you were working on a film that was about to change the whole Hong Kong cinema? Did you plan to start a revolution? John Woo: Back then I didn't think it would be a big hit, let alone break all box office records. I just wanted to work together with Tsui Hark and make a good film. We applied the auteur theory to shoot a gangster film, something which had not been done before in Hong Kong cinema. I put in my own emotions, a lot of my own personal sentiments into the drama, so it wasn't just your typical action film. I certainly wasn't intending to start a revolution. I just wanted to make a good movie. FF: What was your technique on working on the action scenes? Did you plan everything before the shooting precisely or the final outcome depended on your experiments in the editing room? JW: I'm not a martial artist or stuntman, but I'm a pretty good dancer! I take a musical approach to plan and choreograph the action scenes. In Hong Kong cinema, the director will usually leave the action director in charge of shooting all the action, but not me. I will supervise it myself, including planning the camera movement, picking the music and setting the overall style. Nowadays I do plan in advance, but most of the time I still get my inspiration on the set, on the spur of the moment. And when I shoot, I’m already editing in my head. FF: How different it was to work on these action scenes than on the action scenes in wuxia films that you did before 1986? Does gunplay differ a lot from a swordplay? JW: In my films, the sword is really just being replaced by a gun. In some sense, I'm shooting a modern wuxia film. FF: I think that in the films from this period you were testing the versatility of the classic film genres, like gangster film, comedy or melodrama. Do you think the film language is universal and the filmmakers from all over the world tell the same story? JW: Film is definitely a universal language. Certain values are also universal: honour, family, love. But different people have different ways of expressing these values, and film is part of that. Filmmakers from different countries use different techniques to express the uniqueness of their culture and humanity. FF: Why, do you think, in 80. people from all over the world loved the films "Made in HK"? What was so special about them? How do you recall that time? How was the Hong Kong film industry back then? JW: The 80s in Hong Kong was what the 60s was to the French New Wave: a lot of creative freedom, and a lot of exposure to new ideas. We combined traditional Chinese culture with western methods of filmmaking and infused out own feelings into the movies. Plus, during that period, the Hong Kong economy was beginning to take off, so the market was good too. The first batch of overseas film graduates also returned to Hong Kong, bringing new ideas. It was a very fertile and creative period. FF: Do you plan to go back to Hong Kong and team up with Chow Yun-fat again? Your fans would love it. Is it possible? JW: Of course, but it would depend on the project. Actually, my dream now is to go to different countries to make movies. For example, India, Italy and Poland. I would love to make more new friends and learn something new. I recently saw some Polish films and really enjoyed them. High production values and good storytelling.